Of all of the six NFC teams to qualify for the playoffs, the Giants had the weakest record and was the only qualifying team not to win at least ten games: nine wins and seven losses to be exact. Nevertheless each playoff game they’ve played, they’ve gotten stronger. First was winning their wildcard game against the Atlanta Falcons 24-2, then came their Divisional Playoff win against the Green Bay Packers 37-20, and then their overtime win of the NFC Championship against the 49ers 20-17. 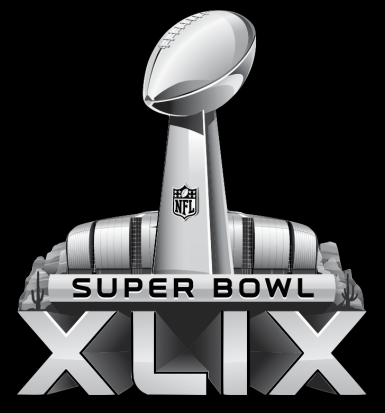 Will their rapid improvement reach its peak on Sunday or will the Super Bowl be where their luck finally runs out? While the Giants had the worst regular season results of the NFC’s playoff qualifiers, the Patriots had the best of the AFC’s with thirteen wins and only three losses. They didn’t need to play a wildcard match and won their Divisional match against Denver easily 45-10. Their AFC Championship victory against the Baltimore Ravens was tighter: 23-20. So far they have predominantly been the strongest team overall this year. However there was one important regular season statistic: of the Patriots’ three losses, one was against the Giants 24-20. That would be the last game the Patriots would lose all season. Will they get revenge at the Super Bowl or will they succumb again? MY PICK: Now for my prediction. I know I’ve based a lot of opinion here on statistics. One thing I learned from Moneyball is that sabermetrics aren’t always right in the end. For the game however, I strongly feel the Patriots will win. 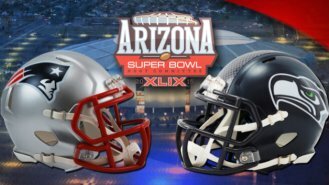 It will be a tight game during the first three quarters with the lead alternating at least three times but the Patriots will grab tight hold in the fourth and go on to win it. As for the score, I won’t hazard a guess on that. I’ll just stick to predicting the winner. Anyways go out and buy your munchies this weekend. 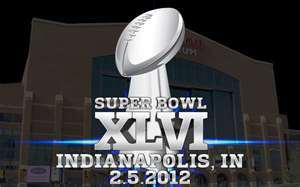 Super Bowl XLVI promises to be exciting: both the game and surrounding events. So may the best team win on Sunday.